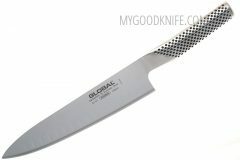 Discover chef's knives on MyGoodKnife.com at a great price. 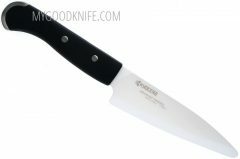 Chef's knife is a most popular cutting tool used in food preparation. 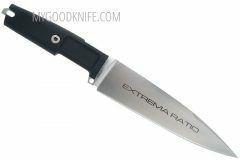 It is a true multipurpose tool, useful for nearly any task. 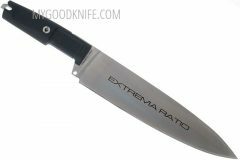 Generally it has a blade eight inches (20 centimeters), although individual models range from 6 to 14 inches (15 to 36 centimetres) in length. 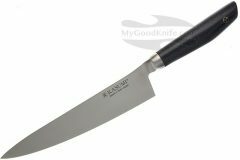 We offer to you best chef knives from famous knife manufactures: Nesmuk, Zwilling, Kasumi, Global, Tojiro, Seki Kanetsugu, Kyocera, Tramontina, Böker and others. 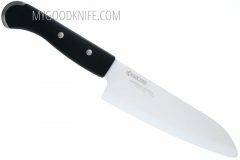 Here you can buy chef knife online and get it in a few days. We ship worldwide. If you have questions – how to choose chef knife, our consultants will help you via live-chat or via email. 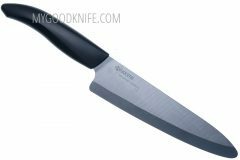 There are two common types of blade shape in western chef's knives, French and German. 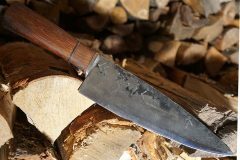 German-style are more deeply and continuously curved along the whole cutting edge, blades are heavier. 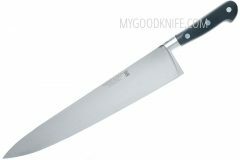 This makes it better suited to a rocking-chop motion. 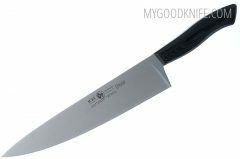 French knives have a similar design, that's only slightly less curved. If you prefer a rocking motion, the German profile suits your style better; if you are a push-and-slide person, the French profile is more suitable for you. 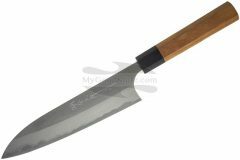 Japanese chef’s knife called Gyuto has a sharpening angle of about 15 degrees, while European models about 20-30 degrees. The blade of a chef's knife is typically made of carbon steel, stainless steel, a laminate of both metals, or even ceramic. 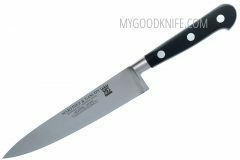 How to use a chef’s knife? The correct way to hold a chef's knife: the thumb grips the knife around the top of the blade, with the hand wrapped around the bolster. 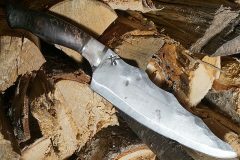 The index finger and thumb should be opposite each other on either side of the blade while the remaining three fingers are sort of loosely curled around the handle. 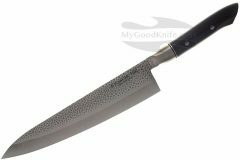 Avoid washing your knife in the dishwasher. 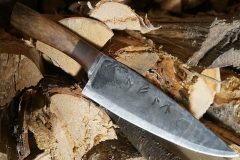 You may damage the blade. 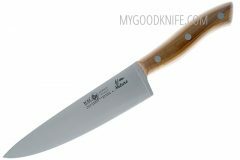 Also, wooden handles may not hold up well when washed in a dishwasher. 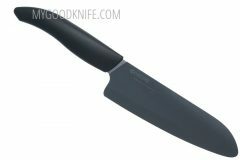 Always dry the chef’s knife before storage. Follow the manufacturer's directions for sharpening. Sharpening tools you can also buy in MyGoodKnife.